Want to know what Louisa does after she loses Will in ME BEFORE YOU? I did too. I fell in love with Lou (CLARK!!!!) and I couldn’t let her go. AFTER YOU shows us Lou’s grief, her attempt at supporting the Traynors, her meandering spirit as she tries to find her way back in life, and her maternal side. I liked the meandering the best. I mean, when we lose someone, we don’t just jump back into reality. We look for supports and crutches and strongholds… And we are picky, because we don’t want to choose one that will cause more loss. Thanks Jojo Moyes for giving us more Louisa. It was enough that we lost Will. I haven’t read this one. 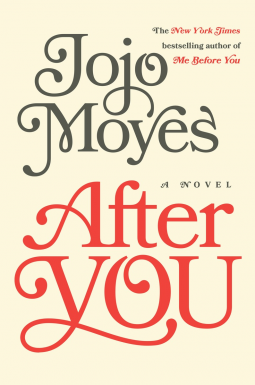 I love Jojo Moyes writing, so I think I need to track it down. Though right now my TBR pile is getting completely out of hand! greatest sites on the internet. I’m going to recommend this blog!